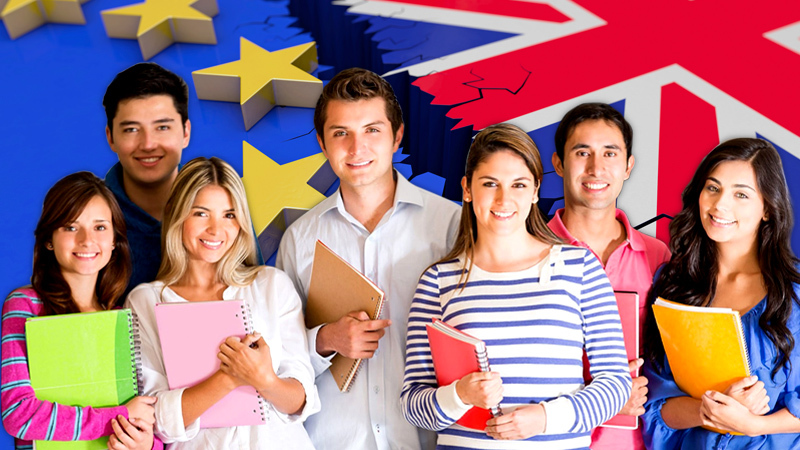 Brexit or No Brexit, enroll more students than ever before ! Brexit is now the new synonym for uncertainty! No one, including the government, is clear on the direction Brexit is headed. So many possibilities exist that this uncertainty has turned the Britain environment gloomier than usual. Deal or No deal, Ireland is expected to have the highest university fees in Europe post-Brexit, says Students union. 19 percent of UK university students are international students who contribute more than £20 billion to the UK economy annually. Research from BusinessBecause suggests that student enrollment is not affecting Business schools despite Brexit. Different higher education universities, Business schools and Further education colleges are offering different insights on how Brexit would affect student enrollments this year. So what if we don a new hat and look at Brexit differently? Even as Brexit is out of our hands, are there opportunities to leverage? Would fresh perspectives present newer openings? Is this choas a blessing in disguise? Would it finally push long due administrative reforms that puts the house in order and yield long-term benefits? Historically, British Universities have been globally sought-after universities. According to the Times Higher Education World Rankings 2019, UK universities have 3 in the top 10, 7 in the top 50 and 28 in the top 200. They rest comfortably atop global rankings when compared to other EU Universities. While it is speculated that Brexit might affect collaboration of the partnerships between the British and the European Universities and affect these rankings in the long run, they but remain speculations. After all Universities as Oxford have survived ancient empires and world wars! Perhaps, it is this brand value and quality of education that has persuaded 54% of the respondents to a survey by the Graduate Management Admission Test Council that Brexit has no impact on their decision to study in the UK! When it comes to international students’ overall satisfaction, UK ranks first according to the International Student Barometer. Britain must fall back on its rich historical roots and leverage these global rankings by designing attractive marketing campaigns. Uncertainties over Brexit might be the right time to persuade UK students to return home. After all, should there be no-deal Brexit, EU countries would be at liberty to decide about the plight of UK students studying elsewhere in Europe. Homecoming of UK Nationals would lead to increase in local enrollments. Further, universities can turn to recruiting more Indian and Chinese students who pay higher fees, £30,000 more for a 5 year medical degree, to be exact, than locals. According to June 2018 data, visas to Indian students grew at 32%, and 94% of applicants of student visas have been cleared. But it must be noted that visa laws are not as favorably when compared to other countries, especially the EU nations. Therefore colleges must actively carry out campaigns and provide adequate information on the application and visa process, financial support options, and preparatory online courses. Engagement with prospective applicants has now become inevitable! If there is lower migration to the UK in future, this will reinforce the need to tackle weaknesses in UK education and make the country more self-sufficient in skills. Universities and FEs are constantly saddled with the menace of staff turnover. Fresh post-brexit immigration laws might make this worse. While 4% of staff in the education sector are non-UK EU staff, the number rises to 15% in Higher Education, according to The Office of National Statistics. This pool of skilled and unskilled personnel from the 27 EU countries might not be available anymore. This is perhaps the right stimulus for universities to automate their student engagement processes and ensure minimal staff intervention. Such strategic decisions are sure to yield long-term benefits to FEs and HEs. Engage2serve’s student lifecycle management suite is one of the solutions to turn things favorably to dramatically scale enrollments and improve student success. Purpose-built, highly intuitive, mobile friendly solutions of e2s can be configured to every institutions’ needs to aid marketing campaigns, dramatically improve admission, retain students through early warning systems and improve student success ratio.